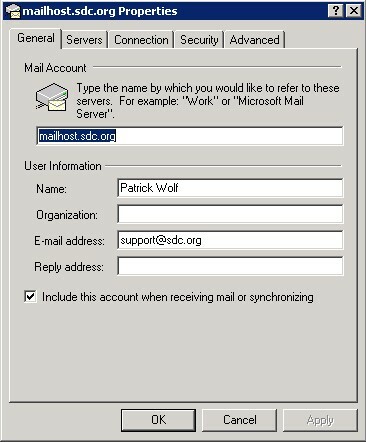 This page shows you how to setup Outlook Express to use your SDC email account when you are on or off of the SDC network. 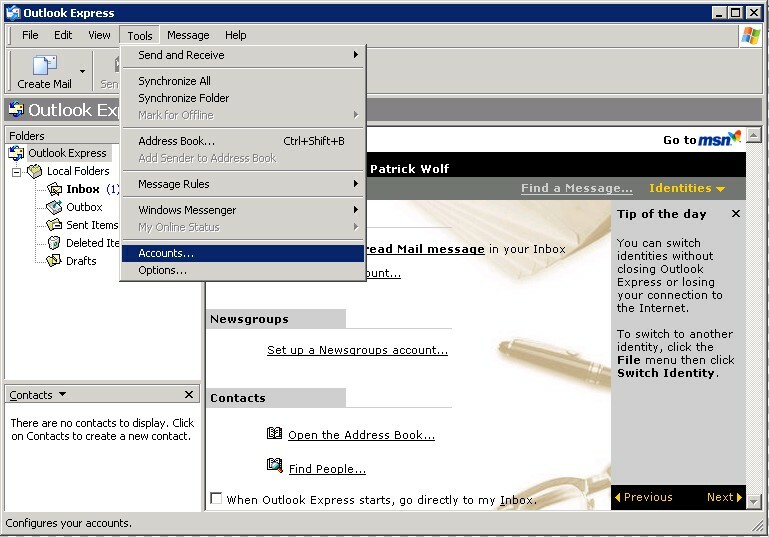 Startup Outlook Express and open the Accounts screen. 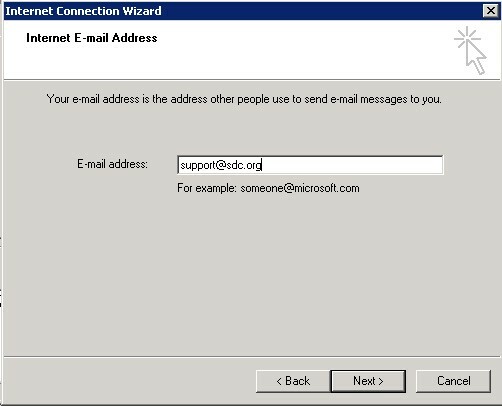 Add a new mail account. 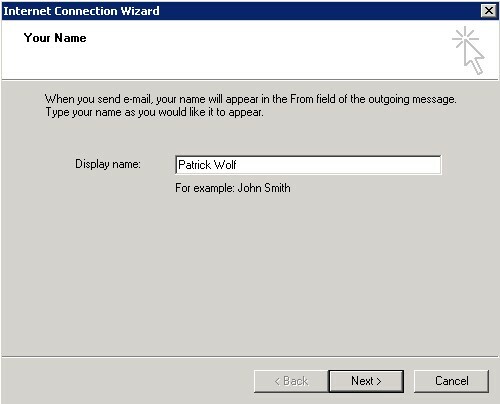 Enter your name as you want it to be seen in your mail messages. 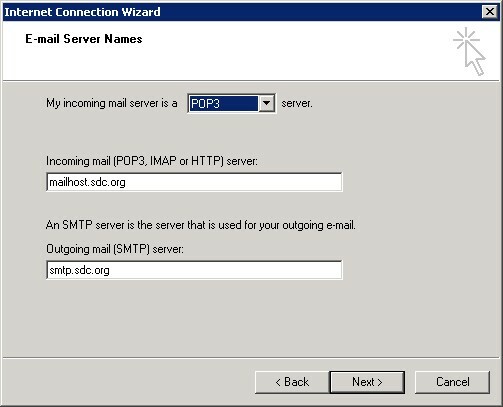 Select either POP or IMAP mail server. 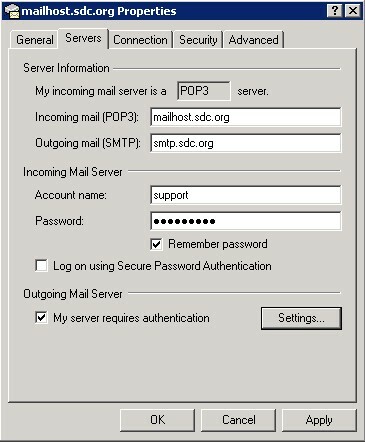 POP will download all messages from the server to your PC whereas IMAP will retain the messages on the server and display them on your PC. Enter the server names. 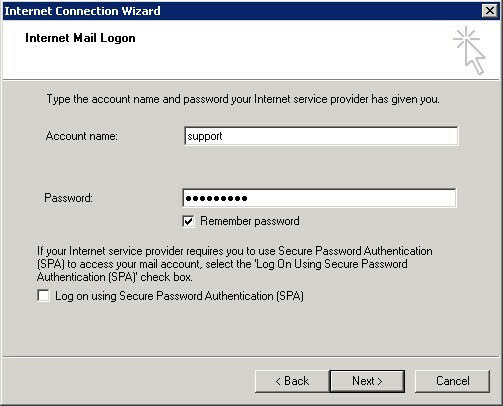 Enter your account name which is the name before the @ in your email address. Enter your password. 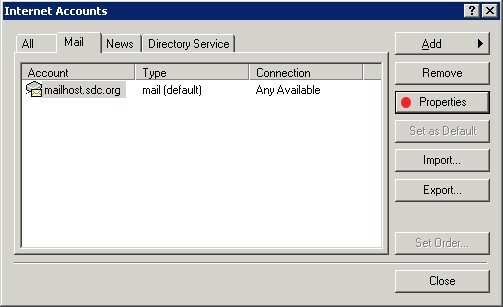 Select the account you just setup and click on Properties. 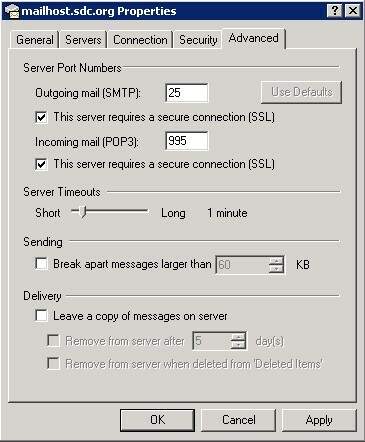 Ensure the following screens are setup as shown.